GIVEAWAY: Kimberly Lewis Home Wallpaper! 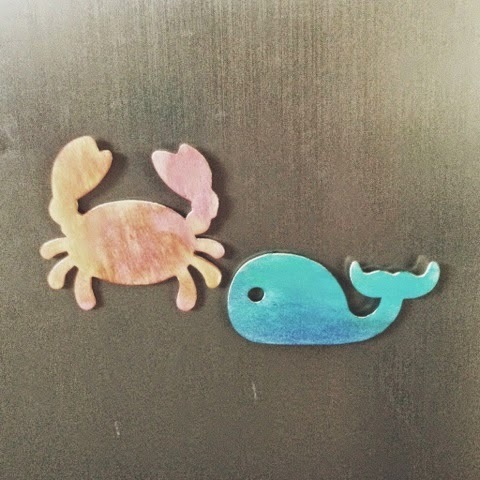 I admit I am not very crafty. I stick to spray paint and washi tape. 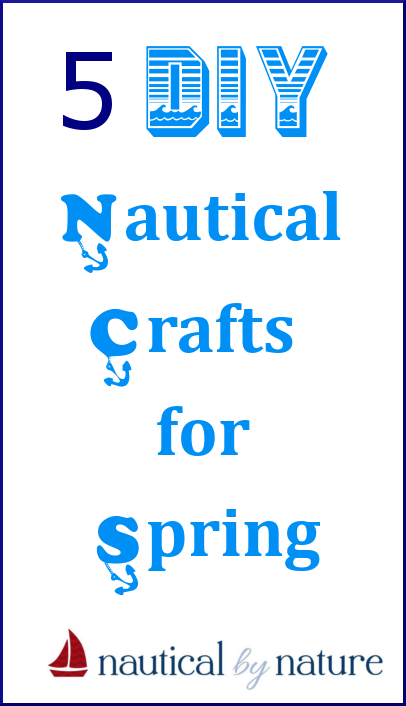 But I am looking to try some more advanced (for me) crafting. Last month was apparently national craft month. 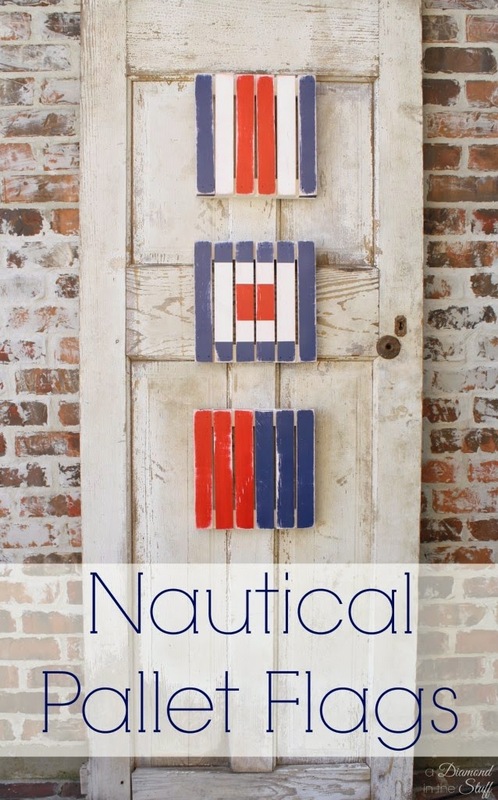 I bookmarked (and pinned) a bunch of different nautical crafts. Here are my top five. Click on the title or photo to go to the original blog post for directions and additional photos. 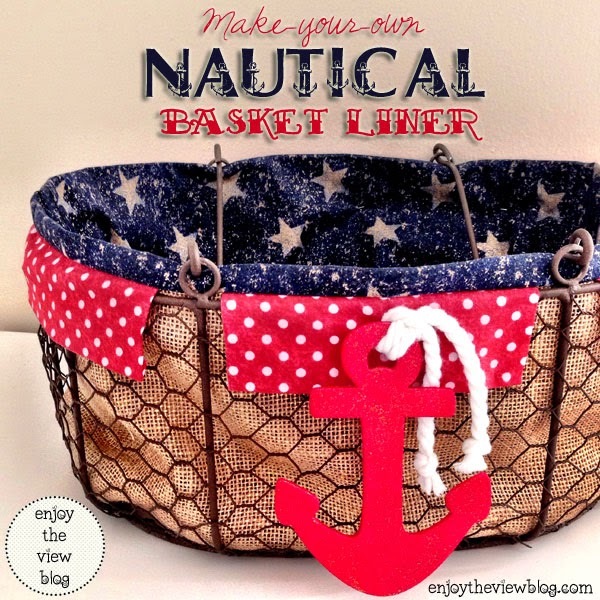 What an easy way to transform a simple basket! The red, white, and blue makes me think of summer so I would use a basket like this to store flip flops or beach/pool basics. Grab and go! I have always wanted to make my own wreaths. I almost made one of the Christmas ornament ones but got sick and ran out of time this year. 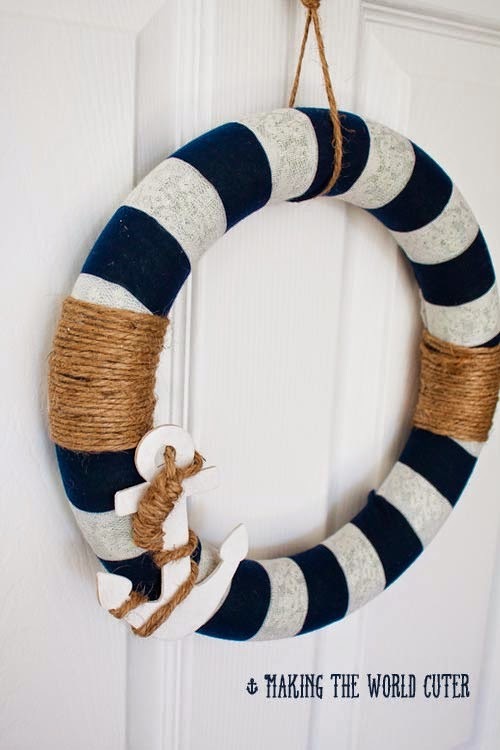 I think this fabric/jute cord wreath would be the perfect place to start! 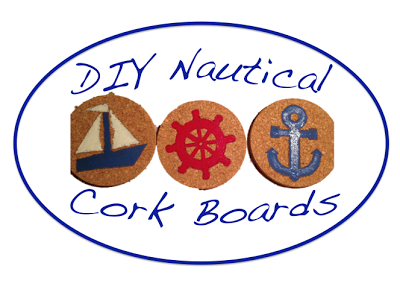 Love the cork boards! And I bet they'd be so easy to do too! Definitely easy! You just use a stencil and then paint! These are all such cute ideas! LOVE the flags! Such a cute idea. I may have to remember this! Apparently you can buy those pallets at Jo-Ann's! I thought I was going to have to go searching at a hardware store or something!